In Islamic Medicine, Hijama (wet cupping) is used by the permission of Allah for the treatment of every type of physical and mential illness or disease and its excellence is recorded in many of the Sahih Hadith. There are basically two forms of cupping, wet and dry. The procedure of Dry cupping involves heating up a glass cup shaped like a miniature fish bowl with a flame. The warm glass cup is then placed on a fleshy part of the body (normally the back) and the skin, blood vessels and muscle underneath the cup is drawn upwards into it by the vacuum created inside the cup. This leaves a characteristic round mark on the skin after the cup is removed. This mark usually fades after a couple of days. Wet cupping [Hijama] is only different in that tiny incisions are made on the surface of the skin before the cup is reapplied. Through the reapplication of the vacuum inside the cup, stagnated blood, other toxins and heat is sucked out of the body through the incisions. The benefits that Allah provides in Hijama are endless and due to its stimulating and strengthening effects and cupping has been used successfully to treat bowel conditions (IBS, constipation and diarrhoea), headaches, black magic, back pain, arthritis, period pain, injuries, asthma, cellulite, fatigue (ME), anaemia, depression and emotional problems, atrophy, sciatica, common cold and flu, skin problems, blood pressure, menstruation problems in women, weight loss, and more. According to books translated from the works of Ibn Al Qayyim (rahimullah) and others, administering Hijama between the shoulder blades helps cure shoulder pain, pains in the upper arms and pains of the throat. Hijama over the two posterior neck veins helps treat tremors of the head, and other conditions of the head, for example, of the face, teeth, ears, eyes, nose and throat. Applying Hijama under the chin helps reduce face pain, toothache, and throat pain and helps to cleanse the head when applied at the proper time. Hijama on top of the foot helps against inflammation of the testes, leg ulcers and eases suppressed menses. Cupping behind the knee helps in the treatment of chronic abscesses, haemorrhoids and septic ulcers of the leg and foot. Hijama on the inner thighs is a good treatment for irritation of the back, gout and piles. Hijama can also help ease high blood pressure and high blood sugar. The excellence of Cupping (Hijama) as a remedy. It was narrated from Abu Hurairah (radhi Allahu anhu) that the Prophet (sallAllahu alayhi wasallam) said, "If there is any good in any of the remedies you use, it is in cupping [Hijama]." Sunan Ibn Majah Book 31, Hadith 3605. Classed as Hasan by Darussalam. Jabir bin 'Abdullah (radhi Allahu anhu) narrated that he paid Al-Muqanna a visit during his illness and said, "I will not leave till he gets cupped, for I heard Allah's Messenger (sallAllahu alayhi wasallam) saying, "There is healing in cupping." Sahih Al Bukhari Volume 7, Book 71, Number 600. Jabir bin 'Abdullah (radhi Allahu anhu) also narrated that, "I heard the Prophet (sallAllahu alayhi wasallam) saying, "If there is any good in your medicines, then it is in a gulp of honey, a cupping [Hijama] operation, or branding (cauterization), but I do not like to be (cauterized) branded." Sahih Al Bukhari Volume 7, Book 71, Number 603. Narrated by Abu Hurayrah (radhi Allahu anhu); "The Prophet (sallAllahu alayhi wasallam) said: If anyone has himself cupped on the 17th, 19th and 21st it will be a remedy for every disease." Sunan Abi Dawood Book 28, Hadith 3852. Classed as Hasan by Sh. Al Albani (rahimullah). The 17th, 19th and 21st [of the month] mentioned here is referring to the Lunar calendar. It is generally understood that when the Moon is full, it has the strongest possible gravitational pull on the earth and its inhabitants. The effect in human beings is that the volatile bodily fluids and humors are pulled into the uppermost part of the body during the 1 day either side of the full moon (and on the full moon). As the phases of the full Moon subside to the 17th, 19th and 21st of the lunar month, the volatile humours subside too and the underlying humours are pulled up into their place. It is within these underlying bodily fluids and humours that the patient might be suffering toxicity. Once these underlying humours come close to the skins surface within the upper body, any toxicity or excess can easily be extracted through Hijama. This might also explain why the key sunnah Hijama points are always located on the upper part of the body (above the waist). However, it's important to note that the patient does not need to wait for these dates if they are ill and have an urgent requirement to get cupped. Cupping can be applied on any day. Hijama points of application from the Sunnah. Top, middle of the head (crown). It was also narrated by Ibn Abbaas (radhi Allahu anhu) that the Prophet (sallallahu alayhi wasallam) was cupped on his head for an ailment he was suffering from while he was in a state of Ihram. at a water place called Lahl Jamal located on the road to Makkah. Ibn 'Abbas further said: Allah s Apostle was cupped on his head for unilateral headache while he was in a state of Ihram. Above the thigh [hip area]. Jabir ibn Abdullah (radhi Allahu anhu) narrated that the Messenger of Allah (sallAllahu alayhi wasallam) had himself cupped above the thigh for a contusion from which he suffered. Sunan Abi Dawood Book 28, Hadith 3854. Classed as Sahih by Sh. Al Albani (rahimullah). Either side of the neck (at the back) and on the shoulder. It was narrated Anas ibn Malik that "The Prophet (sallAllahu alayhi wasallam) had himself cupped three times in the veins at the sides of the neck and on the shoulder. Ma'mar said: I got myself cupped, and I lost my memory so much so that I was instructed Surat al-Fatihah by others in my prayer. He had himself cupped at the top of his head." Sunan Abi Dawood Book 28, Hadith 3851. Classed as Sahih by Sh. Al Albani (rahimullah). Sunan Ibn Majah Vol. 1, Book 31, Hadith 3485. Classed as Sahih by Darusalaam. 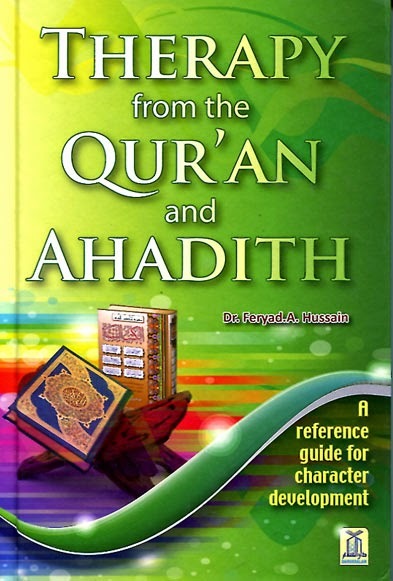 Also recorded in Abi Dawood Book 10, Hadith 1833 and confirmed as Sahih by Sh. Al Albani (rahimullah). More information can be found here for general cupping points which are established by the Hijjaams. There are a number of hadeeth on the matter of cupping during fasting and it seems as though it was initially outlawed. It was narrated by Thawban that the Prophet (sallAllahu alayhi wassallam) said, "A man who cups and a man who gets himself cupped break their fast." Sunan Abi Dawood Book 13, Hadith 2364. Classed as Sahih by Sh. Al Albani (rahimullah). The reason may have been due to the hardship and weakness it causes upon the body, and Allah Azzawajjal knows best. But there are also narrations in Al Bukhari which suggest that the Holy Prophet (sallAllahu alayhi wassallam) was cupped while he was fasting. Reference to Vol. 7, Book 71, Hadith 597. It was narrated by Thabit Al-Bunani (radhi Allahu anhu) that Anas bin Malik (radhi Allahu anhu) was asked whether they disliked the cupping for a fasting person. He replied in the negative and said, "Only if it causes weakness." Sahih Al Bukhari Volume 3, Book 31, Number 161. My personal advice is to avoid it during fasting hours if the days are long and you fear it will cause weakness. It can always be performed during the night instead. However, there is no harm in those who are strong having it performed. It is strongly encouraged to give payment to the Hajjaam (cupper), but my understanding is that it is forbidden to request payment, such as that they will not provide the treatment unless they are paid. It was narrated by Anas bin Malik (radhi Allahu anhu) that the Prophet (sallAllahu alayhi wasallam) sent for a slave who had the profession of cupping, and he [the slave] cupped him. The Prophet ordered that he be paid one or two Sa's, or one or two Mudds of foodstuff, and appealed to his masters to reduce his taxes. Sahih Al Bukhari Volume 3, Book 36, Number 481. `Aun bin Abu Juhaifa (radhi Allahu anhu) narrated that "My father bought a slave who practiced the profession of cupping. (My father broke the slave's instruments of cupping). I asked my father why he had done so. He replied, "The Prophet (sallAllahu alayhi wasallam) forbade the acceptance of the price of a dog, or blood, and also forbade the profession of tattooing, getting tattooed and receiving or giving Riba, (usury), and cursed the picture-makers." Consideration must be made for the cupper since they incur expenses for equipment, traveling and time spent with the patient, particularly if they have no other source of income. It is strongly recommended that they be gifted with payment as indeed Allah loves those who have good manners and courteousness. Hijama is a key weapon from Allah against sorcery. Hijama is one of the ways in which Allah Azzawajjal cures sorcery in those who are touched by the Jinn and it is recommended for them to get Hijama performed by an experienced Hajjaam in their area and it must be performed at the right time. By the permission of Allah, they will be cured after a couple of sessions. Ibn Al Qayyim (rahimullah) mentioned in his work Zaad al Ma'aad that the Messenger of Allah (sallAllahu alayhi wassallam) was cupped on the top of his head when he was afflicted with Sihr (witchcraft) and that it is of the best of cures for this ailment if it is performed correctly. There is no authentic prohibition on applying Hijama on certain days of the week, particularly if the patient is very ill.
Sunan Ibn Majah Vol. 1, Book 31, Hadith 3488. This Hadith has been classed as Da'if (weak) by the consensus of scholars at Darussalaam. 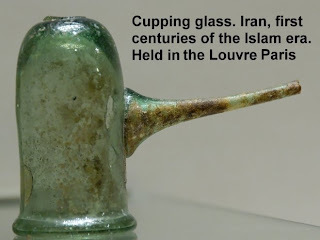 However in order to reconcile all the various hadith on the point of cupping days (and to make it easy upon the Muslims), it may be taken that it is acceptable to cup on a Wednesday if that day falls on either the 17th, 19th or 21st of the lunar month. But a Monday, Tuesday or Thursday are more preferred if any of them also fall on the 17th, 19th or 21st. Healing from the Qur'an - Milk. "And indeed, for you in livestock is a lesson. We give you drink from that which is in their bellies, and for you in them are numerous benefits, and from them you eat." "Is the description of Paradise, which the righteous are promised, wherein are rivers of water unaltered, rivers of milk the taste of which never changes, rivers of wine delicious to those who drink, and rivers of purified honey, in which they will have from all [kinds of] fruits and forgiveness from their Lord, like [that of] those who abide eternally in the Fire and are given to drink scalding water that will sever their intestines?" Ibn Al Qayyim said that the best type of milk to drink is that which is fresh, has a bright white colour and a delicate sweetness. 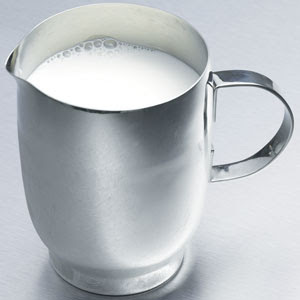 Milk helps alleviate depression and distress in adults and also helps to calm the spirit. Rinsing the mouth after drinking Milk is from the Sunnah. The milk must come from an animal which is fed an organic vegetarian diet. Nowadays, the milk sold in supermarkets in the West is from commercial dairy cattle which are pumped full of harmful vaccines and fed on a diet which contains meat by-products and fodder which is sprayed with pesticides and chemical fertilisers. There is no doubt that these toxins find their way into the animal's meat and milk. 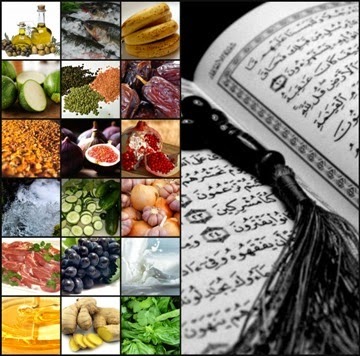 Abdullah ibn Umar (radhi Allahu anhu) narrated that the Messenger of Allah (sallAllahu alayhi wasallam) prohibited eating the animal which feeds on filth and drinking its milk. Sunan Abi Dawood. Book 27, Hadith 3776. Classed as Sahih by Sh Al Albani (rahimullah). It was narrated by Sahl ibn Sad (radhi Allahu anhu) that a drink (milk mixed with water) was brought to the Prophet (sallallahu alayhi wasallam) who drank some of it while a boy was sitting on his right and old men on his left. The Prophet said to the boy, "If you permit me, I'll give (the rest of the drink to) these old men first." The boy said, "I will not give preference to any one over me as regards my share from you, O Allah's Apostle!" The Prophet then put that container in the boy's hand. According to the Dairy Council, the benefits of drinking fresh milk include healthy bone growth due to milk’s composition of calcium, phosphorous, protein and magnesium, and the healthy growth of teeth in children. Milk along with a balanced and healthy diet helps reduce blood pressure, instances of type-2 diabetes, some forms of cancer, cardiovascular diseases and obesity. A little honey can be added to milk that has been gently warmed up and then mixed thoroughly. This sweet milk should then be chilled before drinking. It is important to note that milk sweetened with sugar rather than honey causes plumpness of the body and face. Raw Organic Milk vs Processed Milk. Without a doubt, raw milk is better for health than the processed and pasteurized milk which we buy at the market. Raw milk contains more nutrients, natural enzymes and probiotics. The pasteurization process destroys milk's natural enzymes which help the human body assimilate the calcium contained in milk, as well as its other nutrients which the human body needs to grow, fight disease and function well. That is partly why breast milk is far better for babies that formula and also why, by the same token, raw milk is better for everyone than processed milk. Having said this, it's important to source your raw milk from farms where the milking animals have been vaccinated for contagious diseases like TB and Brucellosis and are fed a vegetarian organic diet. 85% of those who are lactose intolorant should be able to digest raw milk without any problems and raw milk does not spoil like pasteurized milk does if it is left out of the fridge overnight and can much easily be made into homemade butter, cream, soft cheese etc. The Benefits of Fenugreek (Methi / Hulbah). There is no reference to Methi in the Sahih Sunnah. A number of sites around the net have reported that Rasool'Allah (sallallahu alayhi wasallam) encouraged the use of Fenugreek as a treatment for the sick, but I have not been able to confirm that from any source of Sahih Hadith. However, there is no doubt that Ibn Al Qayyim (rahimullah) did mention it in his works and that it is one of the oldest and most beneficial natural medicines and should therefore not be ignored. Ibn Al Qayyim's commentary on Hulbah [Fenugreek]. Ibn Al Qayyim (rahimullah) said that the health benefits of this plant could be gained from drinking a concoction of Fenugreek seeds, which could help to sooth a sore throat, clear the respiratory tract, help conditions like asthma, bronchitis, colic and breathing difficulties, ease hemorrhoids and constipation, relieve an upset stomach and strengthen the heart. He suggested applying a hot cooked fenugreek concoction to skin eruptions and cold sores to sooth and soften them, and using it for washing hair. He also recommended cooking fenugreek with dates, honey or figs and eating this on an empty stomach to dissolve phlegm and relieve a persistent cough. A teaspoon of fenugreek seeds can be soaked in a cup of hot water for 5 minutes and then this mixture can be drunk to gain the above benefits insha’Allah. Fenugreek can also be used to relieve an upset stomach, it can be used as an aphrodisiac and it also helps constipation, helps reduce cholesterol levels in the blood, lowers blood sugar levels, relieves water/urine retention and it also is particularly beneficial for women as it stimulates menstrual flow and balances female hormones, assists in childbirth by stimulating uterine contractions during labour and increases breast milk for breastfeeding women. Pregnant women should always consult their doctor before self-medicating with fenugreek or other herbal remedies. Fenugreek ranks high among the ‘must haves’ for nursing mothers. This is due to the presence of diosgenin in the seeds and leaves which increases milk production in lactating mothers. Fenugreek has been known to be helpful in inducing childbirth by stimulating uterine contractions. It is also known to reduce labour pains. But here’s a word of caution. Excess intake of fenugreek seeds during pregnancy could put you in risk of miscarriage or premature childbirth. As well as Diosgenin, fenugreek contains isoflavones with oestrogen-like properties which help reduce symptoms like discomfort and menstrual cramps associated with PMS. These compounds also ease menopausal symptoms like hot flashes and mood fluctuations. Women who are in child-bearing age are more prone to iron deficiency due to the monthly loss of blood, also during pregnancy and breastfeeding. Including green leafy veggies like fenugreek in your diet can supply a good amount of iron. But make sure to add tomatoes to the dish when cooking it to enhance the iron absorption. Fenugreek for medicinal use can come in a number of different forms, young fresh leaves, dried leaves, seeds, essential oil or powdered in capsule form. All of these are available in Indian/Pakistani grocery stores or on the Internet. Fenugreek can be grown for its mildly spicy leaves and shoots by soaking the seed in water for about 30 minutes and then planting it into the ground or into a window box in a bright sunny spot on the windowsill. Young leaves can be cut and used as a garnish, in fenugreek tea, pakoras, curries, in breads or in stews and casseroles. Turmeric; beneficial for Skin & maybe even for Cancer. The use of turmeric is neither from the Qur'an nor the Sunnah, but nonetheless, it is a highly beneficial spice and this is the reason for mentioning it in this post. Turmeric is derived from the root of a subcontinental plant, where the root is dried and ground to powder to produce a bright yellow spice used mainly in South Asian cuisine. Turmeric has been used in India for over 2500 years; as a dye and an ingredient in food and beauty products. Long renowned for its anti-inflammatory and anti-oxidant properties, Turmeric proves exceptionally beneficial in the treatment of a wide variety of illnesses including Alzheimer’s, arthritis and some forms of cancer. Turmeric has been used in both Chinese and Ayurvedic medicine for centuries. Turmeric is a natural anti-inflammatory and antiseptic which helps in healing cuts, burns, stings and bites. When combined in a dish with cauliflower, it can help sufferers of prostrate cancer. A paste made of turmeric can also help reduce skin melanoma. Turmeric is a natural liver detoxifier and has been used in Chinese Medicine as a natural treatment for depression. Sufferers of gallstones or bile obstructions and pregnant women should consult their doctor before using turmeric in natural remedies. Turmeric is particularly beneficial in evening out skin pigmentation. It can be mixed with besan (gram flour) and cucumber juice and lemon juice to form a paste. The paste should be applied to the affected area for 15 minutes. Used frequently, you should be able to notice a more even skin tone insha’Allah. A tea made with Turmeric root is very good for fighting the bacteria which causes diarrhoea. 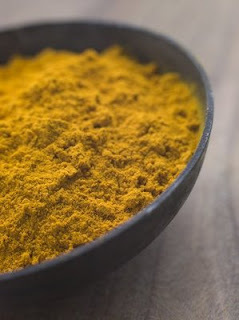 Turmeric root powder (Haldi) should be used in cooking and can be added to stews and casseroles as well as omelettes and in marinades for meat and vegetables. The Importance of Visiting the Sick. Reported in Riyad as-Salihin in The Book of Visiting the Sick, the Hadith being from Sahih Al Bukhari Book 7, Hadith 907. In this benevolent prophetic saying, there is an expression of sympathy, a most noble show of compassion, as well as a most favourable type of treatment. Such attitude on the part of the visitor will relieve the patient’s anxieties, refresh his spirit and animate his heart. Subsequently, it will help change his natural disposition and aid his nature to overcome the effects, and sometimes lessen, or even alleviate his symptoms and defeat the cause. This is in effect, the purpose behind calling a doctor. Visiting the sick is one of the 7 things enjoined upon those who believe. It was narrated by Al-Bara' bin 'Azib (radhi Allahu anhu) that the Prophet (sallallahu alayhi wasallam) ordered us to do seven (things) and forbade us from seven. He ordered us to visit the patients, to follow the funeral procession, to reply to the sneezer (i.e., say to him, 'Yarhamuka-l-lah (May Allah bestow His Mercy upon you), if he says 'Al-hamdulillah' (Praise be to Allah), to help others to fulfill their oaths, to help the oppressed, to greet (whomever one should meet), and to accept the invitation (to a wedding banquet). He forbade us to wear golden rings, to use silver utensils, to use Mayathir (cushions of silk stuffed with cotton and placed under the rider on the saddle), the Qasiyya (linen clothes containing silk brought from an Egyptian town), the Istibraq (thick silk) and the Dibaj (another kind of silk). The beloved Holy Prophet (sallallahu alayhi wasallam) showed great love and compassion when he visited sick persons, particularly his companions (radhi Allahu anhum). He would gently ask about their point of discomfort, their condition and present feelings. He cheered them up, placed his blessed band over their foreheads and sometimes placed it in the middle of their chests, and prayed for them. He (sallallahu alayhi wasallam) also prescribed the correct medicine for them, and in one case it is reported that the Messenger of Allah (sallallahu alayhi wasallam) would take an ablution and wash the patient’s face or body with the water of that ablution or sprinkle the water upon them. This is the utter kindness, the noblest treatment and the correct mannerism to demonstrate with those that are sick. Sympathic-therapy sometimes does wonders for curing an illness or at least, lessening its effects. Often, this kind of support helps the human spirit, builds up a patient’s will and empowers the psycho-physiological process in his mind to defeat the disease. Mental benefits for the patient that helps reconstruct their state of mind and natural bodily healing processes and livens their spirits. Benefits for the visitor in the form of blessings and forgiveness from Allah Almighty and the reward for following the Sunnah of Rasool'Allah (sallallahu alayhi wasallam). Conciliatory benefits for the nursing family and the strengthening of ties and good manners. Constructive benefits for the Muslim community in that local groups take care to support each other. According to Islamic Medicine, there are two kinds of epilepsy; the first type arises from a physical imbalance of hormones and impulses inside the body and brain. This type is commonly acknowledged by practitioners of modern western medicine and is treated with drugs and therapy. The second type is just as real and of just as much concern. It is the symptom which arises from the effects of negative spiritual forces (the Jinn) which have invaded the human body and are residing in it. This type cannot be treated with drugs or therapy. The negative forces can only be expelled from the human body by using Ruqya (recitation of certain verses of the Qur’an) administered by a righteous soul (an experienced Raqi). It is important to acknowledge that both types of epilepsy exist, then to identify which type a patient is suffering from and then to administer the specific cure for that type. The Jinn are a very real creation of God, outlined by Him the Holy Qur’an and acknowledged by His Prophets, Holy people and wise physicians. They have been created from smokeless fire and cannot be seen by the human eye because they are the descendants of iblees (satan). Allah allows them to take the form of another living object (usually a snake, dog, donkey, human being or a scorpion) or appear as apparitions, speak to humans and invade the human body and possess it. They are confused by non Muslims for ‘ghosts’ if they appear to be seen by them or whisper to them. In reality, ‘ghostly apparitions’ which are the souls of deceased people do not exist as Allah has forbidden those who have left this World to return to it for any reason. Some Jinn are good and decent, while others are innately evil. Possession is always caused by evil Jinn [shayateen] who are usually drawn to children, women who dress immodestly and vulnerable, depressed people. Having said that, healthy people can also be possessed by them, most times as a result of sorcery, but sometimes for no apparent reason. Epileptic fits and seizures can commonly be some of the many symptoms of such possession. Where drugs are not having any effect upon an epileptic patient, it may be useful to consider that they may have been possessed by a Jinni who is causing the fits. But, please don’t panic and jump to this conclusion immediately just because the drugs are not working. Human possession by Jinn has marked and very particular indicators. The patient should be taken to see an experienced Imam or Raqi before any firm conclusion is drawn. Of the clearer indications of possession, whilst in the state of an epileptic fit or in the resting state, a sufferer may inadvertently rip their clothes off, have an odd or piercing stare, use very foul language, mumble incoherently, suffer from re-occurring nightmares, feel extreme fear at the slightest thing, speak in an odd or harsh voice, commit self-harm or attack the most beloved of their relatives, have an extreme dislike for the recitation of the Qur’an, feel pain and scream or try and get away upon hearing the Azhaan etc. If this is happening, it is important to see a Raqi as soon as possible. Cure is only from Allah, along with prevention, is two-fold. The responsibility for one part, by the Permission of Allah, is the responsibility of the Raqi, and that for the other part is attributed to the patient themselves. Both parts need to be exercised to ensure full healing from Allah Azzawajjal takes place and the illness does not return. The she-Jinni possessing him replied, “Indeed!” while extending her voice and mocking the Qur’an. So the Imam took a stick and beat the epileptic person on his neck until the Imam’s hands got tired. Those present did not doubt that the sick person would die from the severity of such a beating. He had no idea that he had been beaten and that the Jinni had been removed from him! Beatings are not nowadays administered, instead the Raqi only has to slap his hand very gently on the patient, Allah Azzawajjal causes the Jinni to feel extreme pain. Check this link to see the exorcism technique of Abu Tharr. For the patient, it is vitally important to strengthen their Faith in Allah and their morals. This includes, performing the five daily prayers without fail, giving in charity, fasting, increasing their knowledge of Islam and practicing upon the Sunnah of our beloved Messenger (sallAllahu alayhi wasallam), keeping away from bad activities, sins, haram or doubtful food and income, and the company of immoral people. The result; a soul becomes naturally closer to its Lord, has his/her supplications answered without delay and is distanced from the effects of evil beings and evil activities. And from the evil of the envier when he envies (malicious jealousy, hasad/evil eye). From the evil of the whisperer (devil who whispers evil in the hearts of men) who withdraws (from such whispering after one conducts the remembrance of Allah). The supplication of the Messenger of Allah seeking Allahs' protection for his grandsons. Epilepsy resulting from physical causes. This type of epilepsy alters the constitution of the body and is accompanied by spasms that prevent the limbs functioning normally. The sufferer is not able to stand upright for very long; they will fall down and foam accumulates in and around the mouth. This type of epilepsy causes intense pain during seizures and is a chronic illness which is hard to cure. It can remain for many years, especially in those over the age of 25. During the state of a fit or seizure, the sufferer is not in control of what is happening; for this reason they are free of sin and will not be accountable for whatever they commit in this state (they are still accountable for whatever they commit in the resting state). If they endure with patience and undying faith in Allah, their guaranteed home is in Paradise. It was narrated by 'Ata bin Abi Rabah (radhi Allahu anhu) that, "Ibn 'Abbas (radhi Allahu anhu) said to me, "Shall I show you a woman of the people of Paradise?" I said, "Yes." He said, "This black lady came to the Prophet (sallAllahu alayhi wasallam) and said, 'I get attacks of epilepsy and my body becomes uncovered; please invoke Allah for me.' The Prophet said (to her), 'If you wish, be patient and you will have (enter) Paradise; and if you wish, I will invoke Allah to cure you.' She said, 'I will remain patient,' and added, 'but I become uncovered, so please invoke Allah for me that I may not become uncovered.' So he invoked Allah for her." During a seizure, the effected cerebral cavity in the brain is fighting the effects of an ailment. The limb or organ that the cavity controls will be affected until the seizure is over. Modern western medicine has made huge advances in the development of drugs which can reduce the effect and frequency of epileptic fits to a degree, but the cure rests with Allah alone. Invoking Him with prayers is an important aspect of healing from this debilitating illness. It calms the soul and gives hope to the heart. The state of the human psyche has an impact upon the effectiveness of the cure. Reciting the Surahs mentioned before in this Blog are just as useful here, as is reciting Surah Al Fatihah (1) an odd number of times and blowing onto the hands which should be wiped all over the head and body of the patient. In sha’Allah, with God’s leave, He will help all those suffering from epilepsy. According to books based upon the works of Ibn Al Qayyim (rahimullah), headaches are generally caused by heat and fever in the head, because an accumulation of hot vapours are seeking a way out of the body. As the heat rises into the head, it causes an increase in amount of fluid in the cranium and a swelling of the membrane inside the skull. The pain can either be felt all over the head or more commonly, on one side of the head. In comparison, Migraines are usually caused by an obstruction of a blood vessel or vessels in the brain. The vessels can be blocked by tiny air bubbles or foreign bodies carried in the bloodstream which find their way into the brain. Many people find that applying gentle pressure to the head during a migraine helps ease the pain. The treatment for headaches and migraines depends upon their particular type and cause. Sometimes they can be treated with the induction of vomiting, by hijamah cupping, with compression head bandage or sometimes just with rest, quietness and calm. Recite the above verse an odd number of times (for example, 33) and then blow into cupped hands and wipe on the head of the patient. The headache should disappear soon in sha’Allah. Or, this verse can be recited along with Ayat ul Kursi (2:255) and Surah al Fatihah (1) on olive oil, which is then used to massage on the scalp. It was narrated by Ibn 'Abbas (radhi Allahu anhu) that the Prophet (sallAllahu alayhi wasallam) was cupped on his head for an ailment he was suffering from while he was in a state of Ihram. at a water place called Lahl Jamal. Ibn 'Abbas further said: "Allah's Apostle (sallAllahu alayhi wasallam) was cupped on his head for unilateral headache while he was in a state of Ihram." Salmah (radhi Allahu anha), the maid-servant of the Messenger of Allah (sallAllahu alayhi wasallam), said: "No one complained to the Messenger of Allah (sallAllahu alayhi wasallam) of a headache but he told him to get himself cupped [hijama], or of a pain in his legs but he told him to dye them with henna." Sunan Abi Dawood Book 28, Hadith 3849. Classed as Hasan by Sh. Al Albani (rahimullah). Vinegar is considered as one of the key remedies from Islamic Medicine and there are a number of Sahih Hadith which the Messenger of Allah (sallAllahu alayhi wassallam) has been reported as having praised it. Jabir ibn 'Abdullah (radhi Allahu anhu) reported that Allah's Apostle (sallallahu alayhi wasallam) asked his family for condiment. They (the members of his household) said, "We have nothing with us but vinegar." He asked for it, he began to eat it, and then said, "Vinegar is a good condiment, vinegar is a good condiment." And also our Mother A'ishah (radhi Allahu anha) reported Allah's Messenger (sallallahu alayhi wasallam) as saying, "The best of condiments [or condiment] is vinegar." It is the opinion of Ibn Al Qayyim (rahimullah) that the Messenger said 'vinegar is a good condiment' in order to placate the one who offered it to him (i.e. his wife), rather than to say that vinegar is preferable to all other condiments, and Allah Azzawajjal knows best. Reference to 'Provisions for the Hereafter' page 199. The best types of vinegar to use in medicine and for food are undoubtedly those which are manufactured in accordance with Islamic Law (i.e, brewed directly from the fruit's juice rather than from wine or cider). Of these halaal vinegars, the lighter types, i.e., lighter in colour and taste, are more beneficial, preferably if they are made from apples, pomegranates, pears, grapes or dates. The many trace minerals and other substances in raw vinegar [that which still contains the vinegar's "mother" [which is the blob of cellulose in which the bacteria responsible for converting the original liquid to the vinegar, live] is the key to vinegar's many healing properties. The "mother" of vinegar is usually filtered out during the manufacture of commercial table vinegars in order to make them more visually appealing and marketable. However, as a result, the commercial vinegars which we buy from the market are of no real health benefit. The above term was created by our brothers at the tibbenabawi.org site to describe the process of brewing vinegar at home using aerobic fermentation. Aerobic fermentation means that the fruit juice base does not need to be converted into wine or cider before it can be brewed into vinegar. This eliminates any risk of trace amounts of alcohol in the finished product, which is unlike commercial vinegars which are brewed from wine or cider. There is a high risk that they contain trace amounts of alcohol and there are different schools of thought regarding the permissibly of consumption. Anas ibn Malik (radhi Allahu anhu) said, "Abu Talhah (radhi Allahu anhu) asked the Prophet (sallallahu alayhi wasallam) about the orphans who had inherited wine. He replied, "Pour it out." He [Abu Talhah] asked, "May I not make vinegar of it?" The Messenger replied, "No." Vinegar is primarily known to help ease indigestion by stimulating the stomach and intestines, helping them work faster. A tonic of one tablespoon of vinegar mixed in a cup of warm water and sipped slowly will help ease indigestion and bloating. 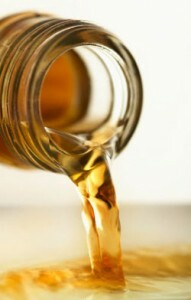 Gargling with hot vinegar helps toothache, relieves pain and benefits the gums. Hot vinegar also helps the healing of fungal nail infections since it is acidic and kills bacteria in the nail and in the nail bed. Vinegar can also be used to help even out skin pigmentation and dark spots, but it has a drying effect so it should be mixed with black cumin seed oil (in equal parts) and the applied to the skin avoiding the eye area. It also helps to exfoliate the skin. It can be left on for an hour and then gently washed off with soap and warm water. Vinegar for medicinal usage is often prepared by adding 3 or 4 teaspoons of whole black cumin seeds into the liquid, before tightly closing the bottle and then refrigerating this mixture for at least two weeks. The seeds can then be strained out using a piece of muslin cloth and used in cooking or discarded. The resulting vinegar is darker in colour and contains all the natural minerals and goodness from the seeds. Many heart attacks are caused by high fats and cholesterol in your blood. 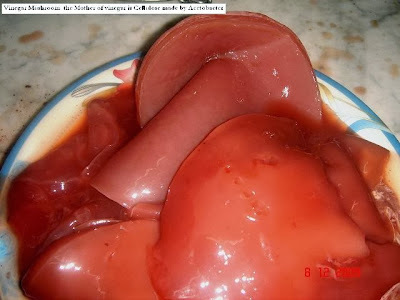 The fiber in raw vinegar helps to absorb fats and cholesterol by expelling them from the body as waste materials. The dietary fibre from the skins and seeds of the original fruits used to make the raw vinegar is also helpful in controlling glucose levels in the blood. Minerals like manganese, calcium, magnesium, silicon and iron in vinegar help develop bone mass and make them stronger. The "mother" which remains in raw vinegar is also useful for treating yeast infections like Candida caused by the unbalance of acid levels in the body. Making a solution of the vinegar in warm water and douching can help with the symptoms. Raw vinegar is also useful in flu or chest congestion. Applying it mixed with pepper on the chest can help relieve some of the congestion. If you have a sore throat, gargle with a hot solution of vinegar mixed with water. In your digestive system hydrochloric acid and pepsin are two essential components that break down the food to be digested properly. The lack of these components can cause food poisoning amongst other problems. Raw vinegar has the ability to enhance the functionality of the stomach and digestive tract and so help prevent food poisoning. The Blessings of the Black Seed. The Black Cumin Seed (Nigella Sativa) is one of the most universally powerful medicines known to man. It is a small triangular seed from a flowering herb of the buttercup family, and also known as the Blessed Seed, Black Cumin [Bukhari], Habbatul Barakah or Kalonji. It has been known and cultivated for over two thousand years, including by the ancient Egyptians and Romans. Abu Huraira (radhi Allahu anhu) narrated that God’s Messenger (sallallahu alayhi wasallam) said, "There is healing in black cumin for all diseases except death." Treatment from Hadith using 5/7 crushed black seeds. It was narrated by Khalid bin Sad (radhi Allahu anhu), who said, "We went out and Ghalib bin Abjar (radhi Allahu anhu) was accompanying us. He fell ill on the way and when we arrived at Medina he was still sick. Ibn Abi 'Atiq (radhi Allahu anhu) came to visit him and said to us, "Treat him with black cumin. 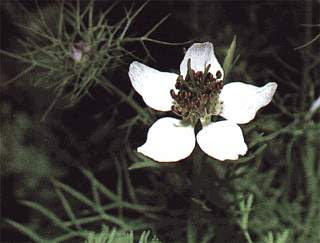 Take five or seven seeds and crush them (mix the powder with oil) and drop the resulting mixture into both nostrils, for 'Aishah (radhi Allahu anha) has narrated to me that she heard the Prophet (sallallahu alayhi wasallam) saying, 'This black cumin is healing for all diseases except As-Sam.' A'ishah asked, 'What is As-Sam?' He said, 'Death." The oil extracted from the seeds is particularly good for healing cold, wet illnesses, benefits bronchitis and coughs, acts as a digestive tonic, eases belching, stimulates excretion of body wastes, expels intestinal worms, stimulates menstruation in women and increases the flow of breast milk for nursing mothers. Adding a few drops of the oil to coffee helps calm the nervous system, dispels fatigue and mild depression and eases a dry cough. The Black Seed is also particularly beneficial for women suffering from abnormal absence of menstruation and other menstrual difficulties. An ointment made of black seed oil can also stimulate the growth of the beard and slow down the greying of hair. Boiling Black Seeds in vinegar and then rinsing one’s mouth with this liquid can help relieve toothache and heal gum problems. Placing powdered black seeds in a fine muslin cloth and inhaling them regularly helps reduce the effects of winter colds. Thareed, A dish of Bread and Meat Soup. 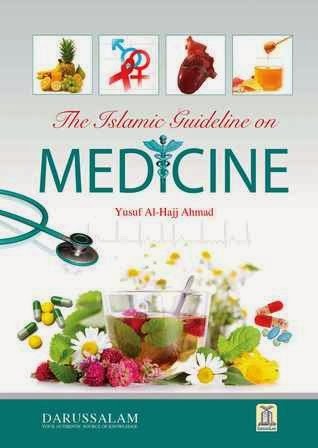 'The Islamic Guideline on Medicine' - Yusuf Al Hajj Ahmad. Darussalam 2010. Honey paste made with crushed blackseeds and Qust al Bahri is exellent for digestive problems. Learn more about Qust (Costus Root). How to protect yourself from Jinn and Shaytaan (PDF). Sword Against Black Magic and Evil Magicians (PDF). Scientists have only just discovered that the blessed Sunnah of fasting for two days a week could lower your risk of heart disease dementia and diabetes - and even tackle cancer! Qust (Costus Root, Aloeswood) and its use in Medicinal preparations. Prophetic Guidance regarding the Evil Eye (Nazar). The Use of Sidr Leaves and Water for the treatment of Witchcraft. This is Part 2. However, please listen to Part 1 too which can be found here. 'Therapy from the Qur'an and Ahadith' - Dr Feryad A Hussain. Darussalam 2011. 'Healing Body and Soul: Your guide to Holistic Wellbeing following Islamic Teachings' - Amira Ayad. International Islamic Publishing House 2008. 'Islamic Medicine: the key to a better life' - Yusuf Al Hajj Ahmad. Darussalam 2010. 'Provisions for the Hereafter [Mukhtasar Zaad al Ma'ad]' - Imaam Ibn Qayyim al Jawziyyah. Darussalam 2003. 'Selected Surahs from the Qur'an and their Virtues, and Supplications for the morning and evening' - Sheikh Safiur-Rahmaan Al-Mubarakpuri. Darussalam 2000. 'Supplications and Treatment with Ruqyah from the Qur'an and the Sunnah' - Dr Sa'eed bin Ali Al-Qahtani. Darussalam 2010. 'Taweez: Amulets in the light of Qur'an and Sunnah' - Based on the book ahkaamur Ruqaa wat Tamaa'im by Shaykh Fahd as-Suhaymee. Darul Imam Muslim 2009. 'The Relief from Distress: An explanation of the du'a of Yunus (alayhisalaam)' - Shaykh Ibn Taymiyyah (rahimullah). Daar us-Sunnah Publishers 2006. 'Weakness of Imaan: Its signs of weakness, causes and cures' - Shaykh Muhammad Sahih al Munajjid. 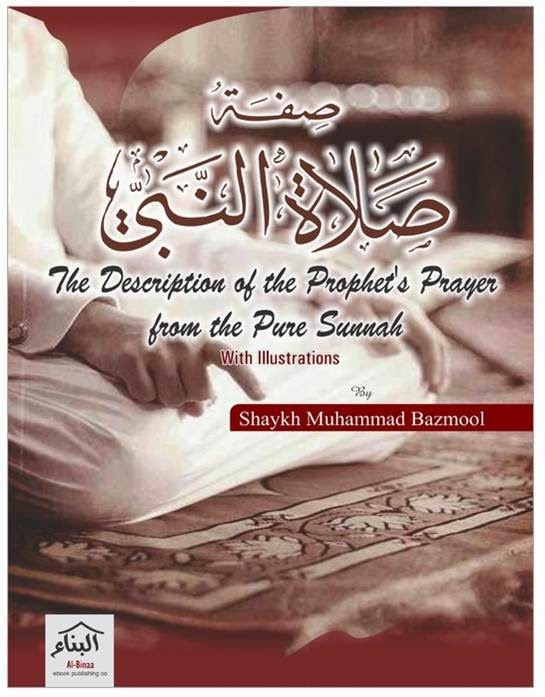 Daar us-Sunnah Publishers 2003. A note to the kind souls who wish to make a donation to this site's maintenance. Please note that the remedies found on this site are designed as supplementary treatments to any usual medications you might be taking and should not be considered replacements for such medications unless that specific advice has been given to you by your qualified doctor. The Prophetic Medicine blog owners do not accept any responsibility for any adverse effects which may arise as the result of trying the treatments outlined on this site. It is strongly recommended to consult a qualified doctor first who knows your medical history, temperament and any underlying medical issues which need to be taken into consideration before using the remedies on this site. Copyright 2009-2016 (C) prophetic-medicine.blogspot.co.uk. Powered by Blogger.